Truly a woodland-inspired beauty! 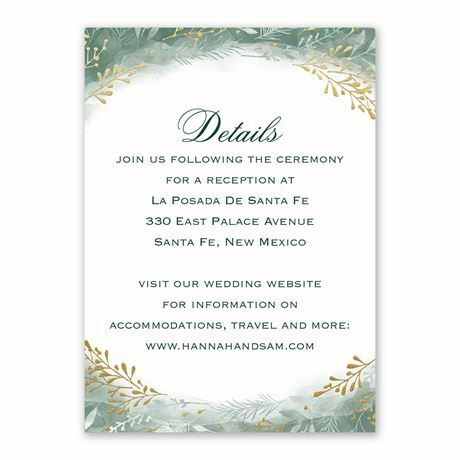 This reception card featuring botanical silhouettes swirling in your choice of frame color reaches a new level of gorgeous with the addition of real foil accents in your choice of three foil colors. Personalization Options: Frame is printed in your choice of color with real foil accents in your choice of gold, rose gold or silver. 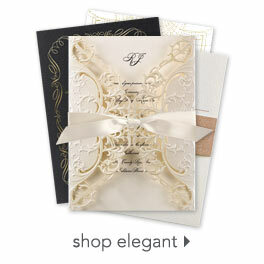 Your wording is printed in your choice of colors and fonts.